Stories about the author's apprenticeship in Zoo-keeping at Whipsnade Zoo. 253 pgs. A former zoo keeper tells 32 stories about the animals he knew. B/W photos. 207 pgs. History of the San Diego Zoo, inhabitants and keepers in photos and text. 288 pgs. A visit to the National Zoo in Washington D.C.. It is a book that rings warmth and wisdom. Anecdotes make it come alive as few other animal books have. It takes you behind the scenes at a major zoo and provides an intimate glimpse of the problems and rewards of caring for some of the world's most fascinating animals. Color photos. 192 pgs. Habits, dispositions and life stories of individual inmates of the Zoo. 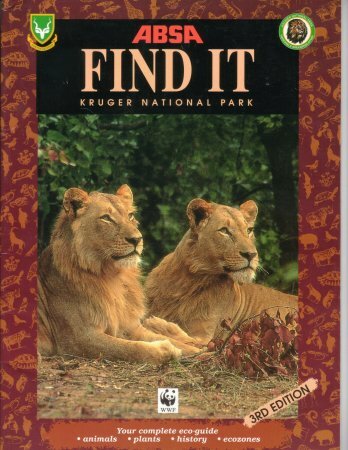 This publication takes a closer look at one of South Africa's most famous landmarks - the Kruger National Park. It is an integrated guide to the wide variety of vegetation & species of the Park. Informative text, accompanied by beautiful illustrations & photographs make it an essental companion for any visitor to the area. Chapters include: How to use this guide, glossary, geology, plants (grasses, reeds, trees), animals (mammals, birds, reptiles, insects & other small creatures) & history. 44 pgs. Inside look at 18 of the foremost zoological parks in America. Color photos. 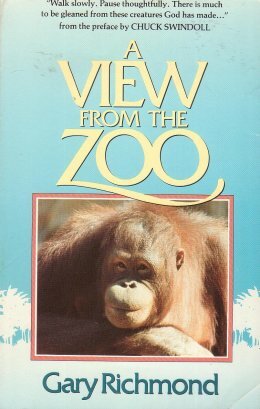 Author's account of his life as a zookeeper & his animal experiences. 192 pgs. 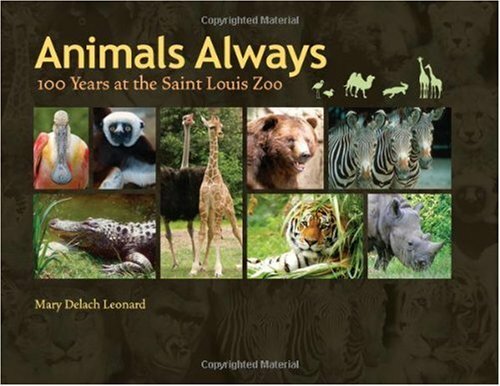 The first book-length history of American zoos, it examines the meaning of nature in the city by looking at the ways zoos have assembled & displayed their animal collections. Since the first zoo opened in the US in 1874, zoos have promised their visitors a journey into the natural world. More recently natural habitats began to replace old-fashioned animal houses. B/W photos. 243 pgs. Urbane tour thru the great zoos of the world: history of zoos. Many wild animals survive today because of wildlife refuges set up by mankind. This book has put sanctuaries in perspective through imagery of veteran writers and photographers. It covers refuges in North America, South America, Africa, Asia, and Australia. Magnificent color photos. 200 pgs. Chapters include: Sound Recording at the Zoo, The Uses of Animal Sounds, The Methods and Evolution of Sound-Production, and The Sounds of Mammals. Record 1 contains: Husky Dog, Dingo, Wolf, Red Fox, Corsac Fox, Artic Fox, Fennec Fox, Panda, Binturong, Fur Seal, Sea Lion, Camel, Tapir, Marmot, Llama. Record 2 contains: African Animals By Day & African Animals By Night. Recorded at London Zoos. B/W photos. 62 pgs. Study of zoo-keeping methods since the opening of the London zoo in 1828. 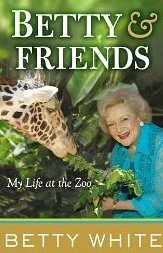 Contains articles on nutrition, food & feeding, what's new in zoos, environmental enrichments, inside & outside the enclosure. Logs, charts, graphs. 113 pgs. The history & animals at the London zoo since it opened in 1828. B/W illustrations. 256 pgs. Robert Straughan suggests we do more than try to protect animals in their native land. He proposes that giant, outdoor jungle preserves be built in the southern areas of the US, where animals could be imported, propagate, and re-establish their species. This book relates everything there is to know about carrying out such a project. He also suggests improving zoos and animal farms that already exist to that of an open-air zoo where animals roam free rather than be enclosed in concrete cages. B/W photos. 272 pgs. The London Zoo is one of the most famous zoos in the world, renowned for its stunning and eclectic architecture. 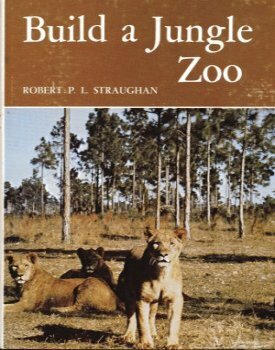 This book shows all the changes the London Zoo has undergone throughout the years, as attitudes concerning animals kept in captivity have also changed. 196 pgs. A tender and amusing book about animals that will appeal to anyone who loved James Herriot's All Things Great and Small. 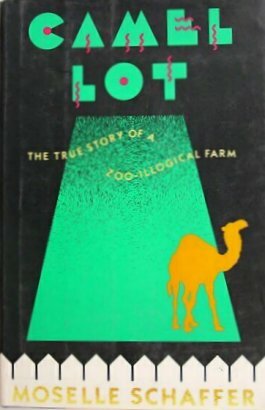 It is the true story of Moselle Schaffer and her zoo-illogical farm in Indiana. The author led a conventional life in Indianapolis until she obtained a pilot's license and moved with her husband to a nearby farm with an airstrip. At the suggestion of a circus-performer friend, the couple began to raise exotic animals in the empty barns, beginning with camels and zebras. Other beasts came later--tiger cubs, llamas, miniature goats, monkeys, a pig. The author acted as obstetrician to an ostrich chick named Watts (the egg had been incubated under a 100-watt light bulb) and found a Leghorn hen to act as its foster mother. The menagerie survived, but the marriage did not. Schaffer now runs Camel Lot as a bed-and-breakfast. A witty and entertaining book. 274 pgs.